Leesa Mattress – Honest Review. Leesa Mattress, my honest review. 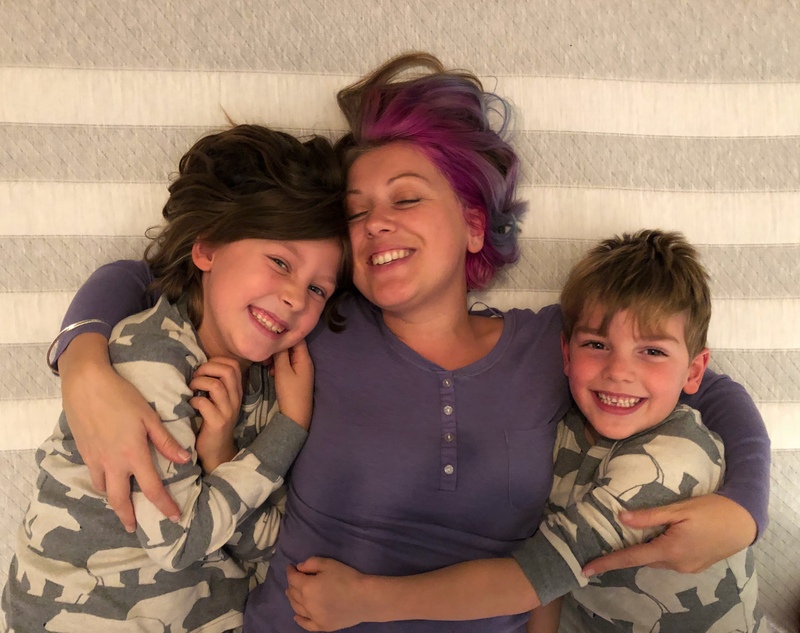 Right, I’m going to tell you this and be totally transparent from the start of this blog post, I received my Leesa Mattress free of charge and I’m being paid to write this however, this really is my honest opinion, Leesa even asked us to wait a month before posting to really test the mattress*! 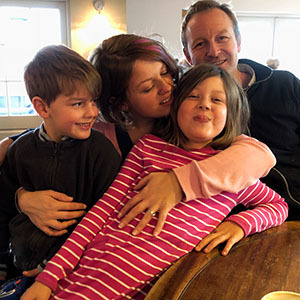 It also wasn’t only tested by us, I’ve written before about how we often end up with a child (or even two!) in our bed in the morning, I’m happy to have the cuddles for as long as they ask for them. It has also been tested out for roly polys and wrestling matches and passed their incredibly thorough bounce testing with flying colours! 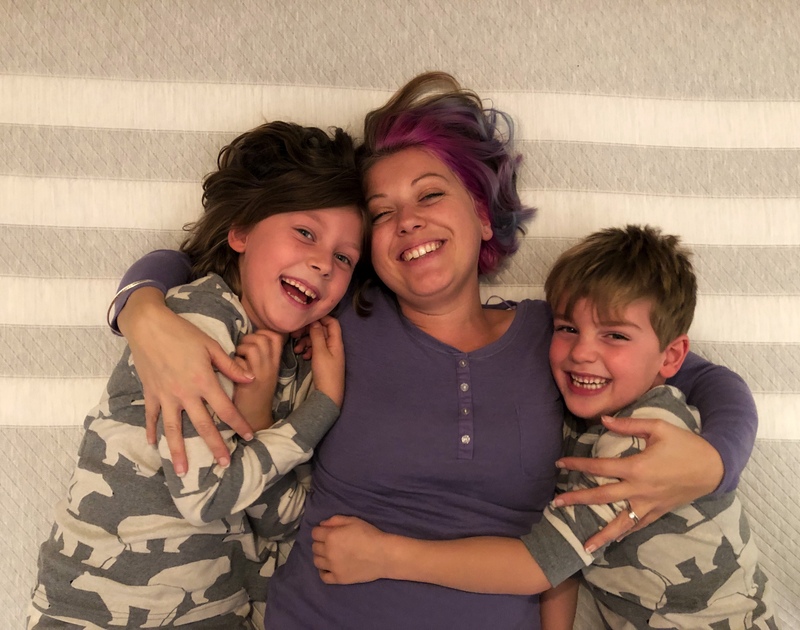 Scroll through to see how our ‘serious’ photoshoot where I try to get the children to pretend nicely to be snoozing with me descends into fits of absolute giggles! 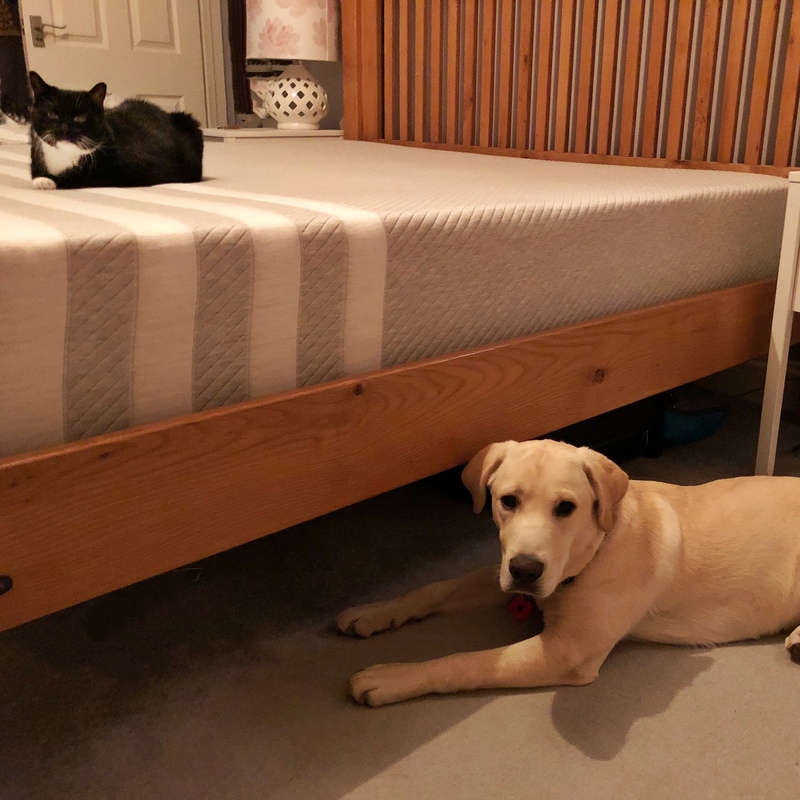 I’m slightly ashamed to admit that our last mattress was embarrassingly old, though I vividly remember going to choose it in the mattress shop, lying on lots of different beds until we found what we thought at the time to be the perfect mattress. It was very firm indeed and boasted features like ‘horsehair’ and ‘springs’ and ‘fancy layers’. Ok, so I might have made that last bit up but you get my drift! We soon realised it might be a little too firm though, and eventually ended up buying a memory foam topper, which turned out to be too soft. 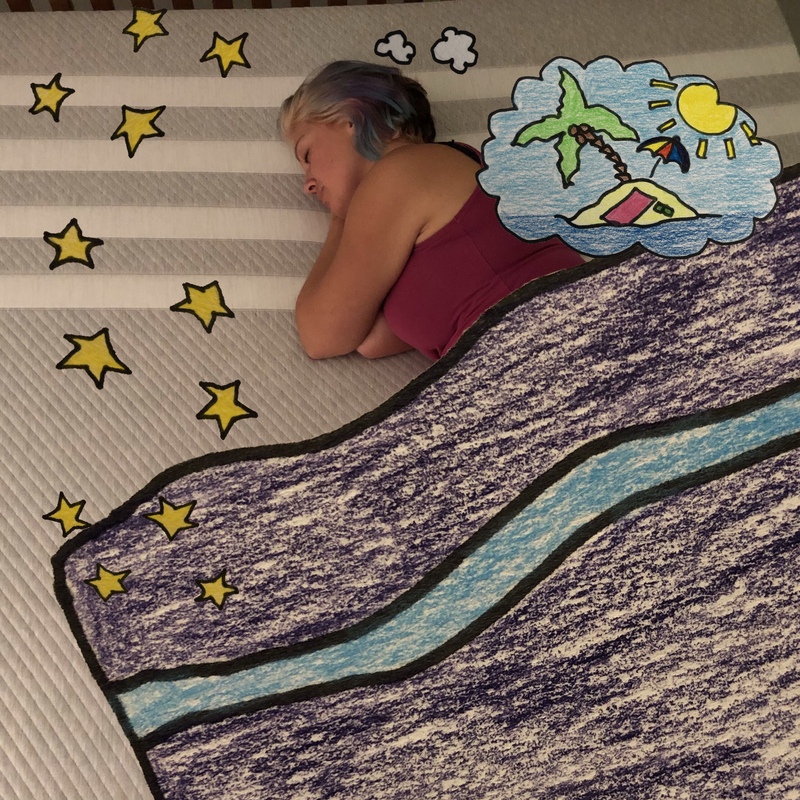 Due to the fancy mattress being too hard and the memory topper being far too soft, when Leesa got in touch and asked if I wanted to review a mattress, I was a little concerned as we would be unable to try it out beforehand. I’m also not great with change but after a good chat with the Leesa team and doing some serious research online, I decided to go for it! Although the Leesa mattress has got a layer of memory foam and no springs, it clearly explains on the Leesa website how they combat the usual ‘sinking’ feeling that you can get with mattresses that are only memory foam, by combining three different foam layers, a 5cm top layer of Avena foam to provide airflow and bounce, below that a 5cm layer of memory foam for the body contouring properties that we have come to know memory foam for and a 15cm dense core support foam layer to prevent any sinking feelings. All wrapped in a seamless, super soft, four stripe cover. The mattress arrives vacuum packed in thick plastic and boxed in a relatively small box all things considering, and it honestly amazes me how they managed to make something so big so compact. It was really fun for the kids to watch us carry the mattress up to our bedroom and cut open the plastic because it’s like magic the way that the mattress expands to it’s full size. You literally just watch it expand to full size and then it’s ready to put a sheet on! One thing I will point out is the smell. There is a strong chemical smell to the mattress when you first unpack it. (In our experience, this is the same with all mattresses containing foam mattresses.) We have had our mattress for a month now and there is only a faint hint of it, wearing off more each day. We slept on the mattress from day one and although we could obviously smell it, it didn’t affect our sleep or feel overpowering at any point and I am really sensitive to smells, with certain strong aromas often giving me migraines and I had no issues with this. First impressions: We lay on the mattress and were relieved to find it instantly comfortable. We genuinely weren’t expecting for it to be so comfortable from the get go, sometimes things need wearing in a bit, and so had kept our old mattress standing up in the corner of the bedroom as we were still thinking at that point that we might need to go back to it. I can tell you now that after just one week of trying the new mattress, we were convinced and the one one was gone! We have both slept so comfortably since we got the new Leesa mattress. The first morning we had it, I remember Dave saying that he was struggling to get out of bed for work as it was so good, something unheard of as he usually springs up to start the day. I realise that mattresses and sleep are a really subjective thing but Dave and I have both been really impressed with the Leesa mattress, I’m getting an awful lot less neck pain and find it much easier to fall asleep quickly and the children also seem to be very happy when they sneak in in the early hours! 😀 They always come in for a cuddle every morning and they have remarked on how much they like it and I have it on good authority that it’s excellent for practising gymnastics on, the perfect amount of bounce apparently! Another huge fan is our cat. She is very elderly and since we got the Leesa mattress, has taken to sleeping on our bed, something she didn’t do before. She is absolutely not sharing with Hendrix though! 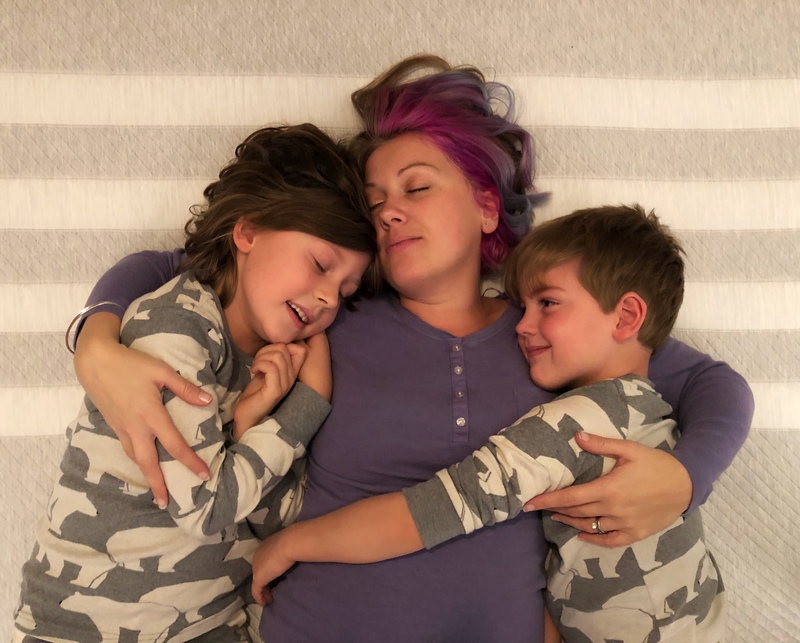 I honestly wasn’t sure what to expect and over the last month of testing it out, I have been pleasantly surprised and very very pleased with our new Leesa mattress. I really would recommend it to anyone, although it should come with a warning that it’s very hard to get out of in the morning. They are so confident that you’ll love it that they offer a 100 night risk free trial, if you aren’t happy, they will arrange for the mattress to be picked up and donated to a charitable organisation to distribute. They also give away one free Leesa mattress to charity for every ten sold. See the full range and details here. For the foreseeable future, if you need me, you can find me in bed dreaming that I’m relaxing on a tropical island! *I am very much of the belief that no matter how much I’m paid, I have to give my 100% honest opinion, especially about high value items, because you as my readers, may possibly go and buy something expensive on my recommendation and I wouldn’t be able to sleep at night if I knew I’d misled people in any way. Disclaimer: This post contains affiliate links meaning I get a small percentage of a sale if you buy a mattress after clicking through from my post. It does look like a lovely, good quality mattress.